Home / Features / The ‘bike-ocalypse’, or just change? This opinion started as a humour piece back in October or November last year, a bit of good-natured grumpy reflection about where the cycling world might be heading. This would all be based on a range of characters I actually came in contact with over a few weeks last year. Chaucer’s Canterbury Tales on wheels, perhaps. Or maybe a wild downhill ride a la Dante’s Inferno? Or, it could have a ‘Four Horsemen of the Cycling Industry Apocalypse’ theme. The first horseman might be a gaggle of 20-somethings on electric scooters roaring down the bike path. This could be coupled with a mythical study that noted that 63% of urban dwellers cite electric scooters as a regular form of transportation, whereas one year ago that number was less than 1%. Another horseman was seen on the same gorgeous October day as the scooter hipsters, a pair of 40-50 something business-attired movers and shakers on hoverboards. We’ve lost another demographic, I thought! For the benighted, hoverboards are those electric platform devices with a wheel on each side and gyroscopes for balance. If you’re stuck in the year 2000 like me in more ways than thinking that nine speed was enough already, they are sort of like a cut-down Segue with just the platform part, with no ‘handlebars’ reaching skyward. You stand on it, and when you lean forward you move forward at about the same speed that someone who rides a bike four times each year would average on flat ground. Anyway, seeing these grown men in suits on hoverboards was, I can’t say ‘freakish,’ I suppose. ‘Disconcerting’ seems a fair, non-judgemental word that says more about me than them. But seriously, did these guys know how ridiculous they looked? I say that as somebody who routinely shaves his legs and roars around town on a folding bike, sometimes wearing a tuxedo. My Brompton World Championships training and attire aside, when I saw these men on hoverboards the same day that I saw the young men on e-scooters, it dawned on me that I wasn’t in Kansas anymore… or 1988! The third horsewoman was sighted later that night. It was actually a collection of several women, one or two guys, and a child I saw on the sidewalks of the poshest urban bit of the near-in suburb of Washington D.C. where I live. In the space of five minutes I saw no fewer than a dozen of these folks clearly heading to some kind of exercise class, with things like yoga mats, gym bags and upscale water bottles (no BPA of course!) in tow. None were arriving by bike – they were either coming from the train or walking from the ‘upscale city living’ apartments where they live. These are all fine things I’m sure, but as a cycling person I must note that my sighting of the uber-fit class takers were all within two or three blocks of a car-free trailhead that connects to other paved and gravel trails extending perhaps 1,000km or more. There was an hour or more of sunlight left, and all these people would rather attend a ‘class’ than ride a bike. How did we lose these folks, and how do we get them back? A subset of these people would be the Peloton/Zwift/smart trainer customer. There’s a bit more overlap with actual cycling amongst these people, it seems to me. I’m seeing more and more cyclists invest in these as a foul weather training option. Personally, I’d rather ride my Fat Bike on icy roads in sub freezing temperatures than ride a trainer, but I am slowly starting to think about an indoor option I might be able to tolerate. One of the smart trainer video apps sold where I work can even throw a recent Brompton World Championships race up on the big video screen connected to the trainer. That’s pretty cool! While many smart trainer customers cross over to actual cycling, most of the people I’ve sold cleats or shoes to see riding inside as safer and far more convenient. They don’t want to ride on trail or road. I still put the thought in their head that those nice stiff shoes I just sold them could also be used on a real bike. Who should the fourth horseman be? The older you get, the more you will see cultural signs that elicit sighs or deeper expressions of frustration. The box of pasta I saw on a grocery shelf that contained spaghetti precut to be ‘pot-sized,’ made me shudder. How can people incapable of breaking a bundle of dried spaghetti with their hands ever operate the stiffer variants of a twist shifter found on a basic recreational bike? How could they ever have the hand strength to use brakes on a mountain bike ride with a lot of up-down and hairpin turns? What else scares me about our brave new world? The fact that the ‘pet fashion industry,’ is probably growing at a rate higher than cycling. And the idea that the International Olympic Committee has been seriously looking at eSports (which in truth is a multi-billion dollar growth industry that we should respect even if we do not partake). Electric skateboards bother me more than a bit. I am somewhat perplexed and yet impressed with all the horsemen mentioned above. The scary thing is that I avoid these things because I know I might enjoy them, and I have too many project bikes lying around to spend time playing video games, riding electric scooters, or picking out my dogs’ new Halloween costumes. And I’m told I should avoid Fortnite at all costs, lest my TT times suffer. Weakness aside, so far, none of my horsemen have actually been on bicycles. Perhaps the fourth could be an amalgam of the many younger urban dwellers I have in my car on the nights I do a bit of Uber driving. I always ask those who live within the urban part of metropolitan DC if they own bikes. Fewer do today than just a few years ago. I know this is true because my side job – where I refurbish 20 to 30-year-old bikes to sell as urban commuters – has fallen off the cliff. Why are fewer people under 30 riding bikes? ‘I don’t ride much, maybe a few times in the summer, and I would just use a bike share bike for that,’ is a common response. Others say that Uber itself is better than a bike for a trip of a few miles – less up front, less hassle with theft and storage, and safer. Of course, I’ve been told by more than a few people that bike share is the saviour of the cycling pastime and the planet, so the people I see on the grandmotherly bikes can’t be a part of the bike-ocalypse. All I can say is that ten or 15 years ago, a fairly priced used bike posted on Craigslist used to elicit half a dozen responses within a few hours, and a sale within a day. Those same bikes today take weeks or even months to sell. While I know bike share may bring some into cycling, I have to see it as a competitor as well, and thus a worthy fourth horseman. Competition is good of course, but it sort of bothers me that these schemes get subsidised. I’m sure they ease congestion and the like, but so do independent bike shops, and people like me selling budget-priced old bikes. Do we get deals on the real estate we occupy or a subsidy to keep operating? Right when I started thinking about this article in Q4 last year, a few things happened that took my thinking beyond whinging about the broad consumer and cultural trends I mention here. Within a week or two, the US industry was hit with two bits of ominous news. 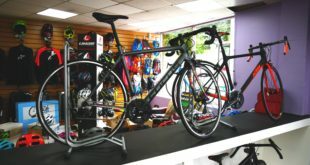 First, the parent company of 100+ store Performance Bicycle, the biggest chain of bicycle retailers, declared bankruptcy. At this point, almost three months later, many stores have closed, with stock eventually selling at 90% off. The rest will last a few more weeks as they help clear stock held by the stores’ online wings. Like a vulture, I stocked up on name brand parts and clothing I can resell on eBay, and I also acquired pro level work stands and shelving for my basement shop. The demise of Performance was not fully a surprise to those paying attention. It was, however, followed by something that I had not heard rumours of: Interbike, the venerable US cycling industry trade show, called off its 2019 edition. It might come back at a later date. Or not. A final incident that followed on that announcement was a surprise to me at least: Sky announced it would cease funding of its pro team after 2019. That was a capstone to a bad few weeks. But a few things kept me from being too depressed by all this. First, I was not only a 35 or more year customer of the Performance catalogue and online presence, I had also been a shop employee at two locations up until a bit more than a year ago, when I quit to work at an LBS. I know from this experience that these shops didn’t fail just because of larger demographic trends. 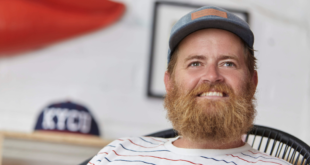 What I saw happen at the two retail stores I worked at over nine years made me sad as a lifelong cyclist and ‘bike shop guy’, and there are some important takeaways for any shop. In a sentence, the chain overemphasised its ‘retailer’ role while dismissing its ‘bike shop’ role. That’s the clear takeaway for bicycle retailers in my eyes – don’t be a retailer at the expense of being a bike shop. Find a balance. Mid-level and district management was out of touch with the local cycling community and emphasised things like price tag placement on bikes and a lengthy, silly script on what to say when answering the phone. Conversely, things like basic new bike build quality, shop protocols, knowledgeable sales and mechanic staff, and being a part of the local cycling community was not emphasised and sometimes actively discouraged. While I knew more than a few good managers, mechanics and salespeople, every spring the store was generally repopulated with new staff of very young people who did not own or ride bikes. While there were some roses amongst the thorns here, it was often people who thought a bike shop was a better job than working the counter at a fast food joint. There was not a lot of cycling knowledge, and mechanical practices and competence varied from very good at one location to cringeworthy at another store. In other words, the stores and the repair shops within offered little added value to buying bikes online. There was also little local input allowed. I worked at a shop near some of the best mountain biking in the region. You wouldn’t know that from the stock we had, which was chock-a-block with far too many commuter and beach bikes, and few true mountain bikes. I remember when a customer came in looking for a pair of mid-level mountain bikes for his kids, who were really starting to enjoy thrashing the woods with dad. He wanted a pair of roughly $1,000+ bikes, and features such as hydraulic disc brakes and somewhat modern 2×10 drivetrains. All we had that week were very basic bikes with spindly plastic derailleurs. And when I asked the manager if there was any way we could request bikes to suit our region so we wouldn’t be caught lacking, I was told to sit down and shut up. Big brother at corporate knew better. Sell what you have, even if the size isn’t right or the customer wants something different! I saw all this first-hand and eventually gave my notice when working at a location that had become dysfunctional, with a district manager asleep at the wheel. My frustration and anxiety about the future of cycling was soothed a bit by a few things. First, I went to work quite quickly at an LBS and helped that shop have one of its best years ever, even with record breaking levels of rain all year long. 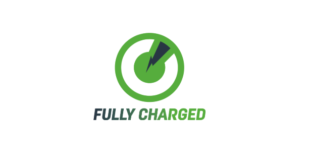 That shop paid me almost twice what the big chain had paid me, they recognised cycling experience as something of value, and so do the customers, who expect something a bit beyond a ‘big box’ store in sales and especially mechanical experience. In a year when the big chain failed, we had a very successful year – stressing consistent pro level mechanical work has value that can sustain a shop. I also had a smile on my face at my new LBS employer. A few days each week, we had a bunch of teens under the age of 15 who would stop by and talk about their rides. And they weren’t scared to do their own mechanical work. They were thrilled about seat bags and water bottles and all the things I discovered when I was ten or 11. This group gave me hope, and the fact that my new LBS actually hires 15-year-olds is something I had thought no longer happened. And while the demise of the big industry trade show was viewed as ominous, I have been attending excellent regional or niche shows that are growing. 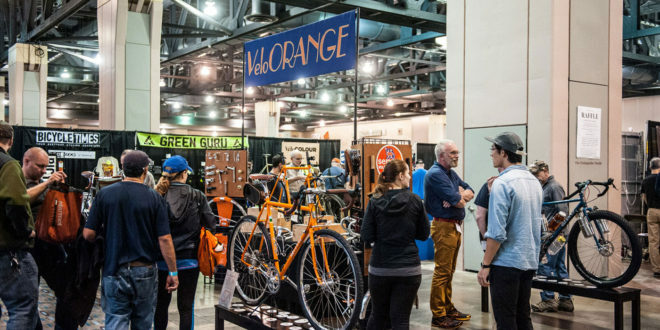 Philly Bike Expo is a great event that is attracting attendees from farther and farther away, great exhibitors and a strong conference presence. The North American Handmade Bicycle Show (NAHBS) is a bit niche, but it’s a strong niche based on what I saw at the Q1 2018 event. So, the clouds have silver linings it seems. Between these thoughts here and my new, evolving attempt to foster a cult of achievement in those entering the sport, maybe I can be less worried about the future of my passion.